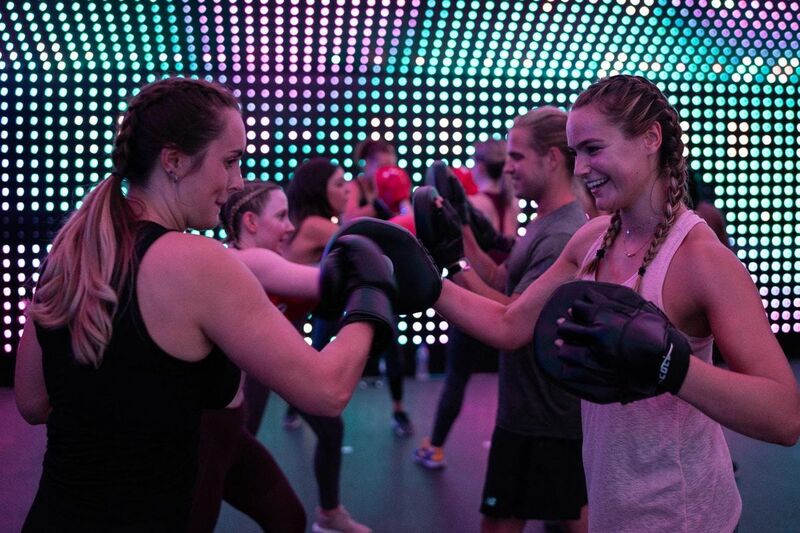 Box ‘n’ Bass has the intensity & technique of a boxing class, but with the energy/music of a rave. A live DJ plays the best drum 'n' bass, hip hop & grime tunes to keep you hitting those pads hard! The Lightbox has 25,000 LED lights & a state of the art sound system. When the beat drops, the lights strobe & the environment drives you to punch harder. The class is open for all levels, so don't worry if you have never boxed before. The coaches are super friendly, knowledgeable & supportive & will make sure that everyone leaves with a smile, having improved their fitness & form. BYO hand wraps (compulsory) or you can purchase on arrival for £2, £6 or £10. Gloves are provided.